Obituary for Lorraine D. Mason | Seamon-Wilsey Funeral Home, Inc.
FORESTBURGH, NY.......Lorraine D. Mason, 86, of the Mill Road died Wednesday, March 27, 2019 at the home of her daughter in Saugerties, New York. Born July 16, 1932 in Matamoras, PA, she was the daughter of Arthur B. and Frieda C. Rupp Drescher. A lifetime area resident, she graduated from the Matamoras High School Class of 1950 and in the same year, on September 24, married Conrad C. Mason. 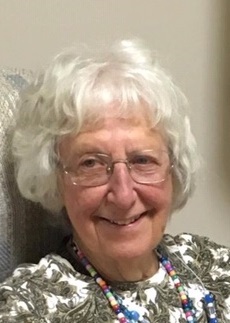 She was a member of Pocono Chapter Order of the Eastern Star where she had served as a Past Matron in 1954, a past member of the Ladies Auxiliary of the Matamoras Fire Department and a Girl Scout Leader. She was also a member of the Forestburgh Senior Citizens. An excellent cook, she enjoyed all holidays preparing and making sure all her grandchildren were well fed. She loved the outdoors where she spent time gardening and taking walks in the woods with family. Her Graveside Service will be held 2:00 on Tuesday at the Pine Hill Cemetery, Sparrowbush, NY. Friends will be received Monday from 5:00 - 8:00 pm at the Seamon-Wilsey Funeral Home, Inc Cor. of John & Lafayette Sts., Saugerties. Family suggests donations in her memory be made to the Saugerties Public Library, 91 Washington Ave., Saugerties, NY 12477. Expressions of condolence may be shared with the family on Lorraine’s Tribute Wall @SeamonWilseyFuneralHome.